OH, thank you for sharing this. Some plans gone astray have led to a greater understanding of God's goodness. Yet, some still bring heartache and lack of understanding. Some will never be understood but that is where faith comes in. I pray today that God gives you the desires of your heart. Oh so good. Beautiful writing. 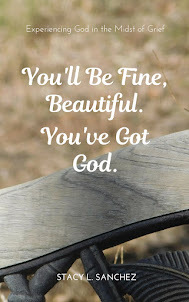 It reminded me of the buzz words, "God is good-all the time." Most of the time we hear those words it's because life went positively. It was refreshing to read of the acceptance of God's goodness in the painful hurts of life. Your gentle spirit is evident in your writing. This is just beautiful...I have to remind myself daily of His plan (and the fact that they are different than mine) and it is so hard at times. Bless you for sharing SO MUCH of your heart today! !